Deicide has just nailed down another genuine album. Although Deicide has had many ups and downs during their career, they are still one of my favorite bands, I was raised with it and fortunate enough to listen to the band, this is what we currently call "old school", in those days it was the new, it was evil incarnate and there were no points of comparison, it was the beginning of what we know now and Deicide helped me out to expand my taste for this fabulous genre, that seems limitless and endless. 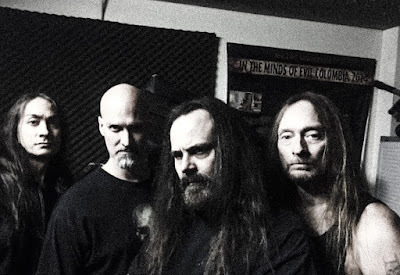 Deicide started twenty-eight years ago and at that time they clearly appeared to be the American answer for the Norwegian black metal scene, with albums like "Deicide" and "Legion" released in (1990) and (1992) respectively. They came up with problems of acceptance among their followers, due to many factors, changes of line-up, creative issues and others; some of my favorites albums are "Serpents of the Light" in (1997), "The Stench of Redemption" in (2006), "In the Minds of Evil" released in 2013 and of course their newest jewel "Overtures of Blasphemy" which has been a great addition, not only for what they achieve musically; Also, for the continuity they demonstrate and therefore the enthusiasts of the genre they will know and recognize it quickly, so let's take a quick look at the next thirty-eight minutes, shall we? "One with Satan" is responsible for opening "Overture of Blasphemy" in a glorious way with a slow rhythm and heavy riffs, it shift into madness with killer drums and possessed bass tones, rapidly is followed by, "Crawled from the Shadows" awesome speed to carry on with such extreme exhibit, glorious groovy riff keeps the devilish within, next is the rabid and melodic "Seal the Tomb Below" it grabs a classic thrash riff to dig into a merciless pace. No matter if you hate them, this track will make you bang your head, it has a very decent guitar solo; Honestly, they are delivering very sophisticated songwriting. "Compliments of Christ" sounds very aggressive and lethal, riffs are stained in a bloody mess, while the drumming discharge a defiant upbeat, melding with cavernous vocals, let's skip to "Excommunicated" takes again a brief thrash riff which evolves into a more technical level, infringing that punch which only they can deliver, "Anointed in Blood" is very tight with the killer drums and perfect guitar work, the bass lines layered in the background fuse everything smoothly with the intense vocals. "Defying the Sacred" has outstanding lead guitar work at the beginning, delves quickly into a more Deicide classic sound with ceaseless drum work and again the hideous vocals steal the show, with that renewed energy, pulled off from hell, "Flesh, Power, Dominion" it's basically the thrasher assault of the album from the beginning all hell breaks loose with its fast pace riff and ruthless drum work, the last track is "Destined to Blasphemy" made out of a feral tones that unfolds as a sick groove riff that repeats over and over, but distant to be boring due to the excellent shift of pace, this consequently brings it to a deadly end. 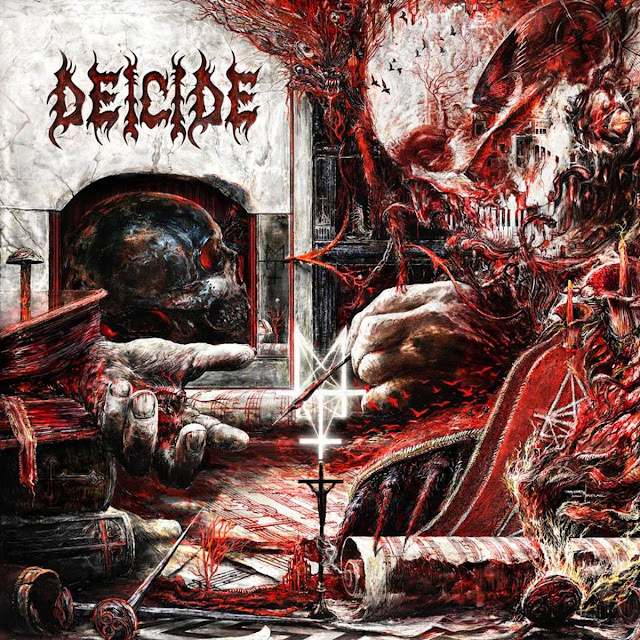 In my humble opinion, Deicide has just nailed down another genuine album into their discography, despite the ups and downs, "Overtures of Blasphemies" puts them in the road back to its origins, as long as they keep its path, I'm pretty confident that Deicide will regain all those loose enthusiasts, who continue to revere only in their beginnings of the band.